In front of an almost full World Trade Centre in Stockholm, Calle Wollgård and Christofer Johansson told the story about their fantastic journey by bike from Sweden to Phuket in Thailand. 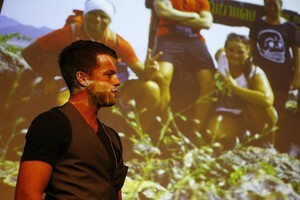 It was very inspiring and amazing to hear about the trip, from planning to the finish line. A journey that raised SEK 370,000 to Happy child and Barnhem – WOW! It was wonderful to hear that the world is good and there are lots of friendly people out there in our harsh world. If we all can remember that and treat our fellow humans with warmth and trust, what a wonderful world we would have. It feels like yesterday was a beginning of a new adventure. 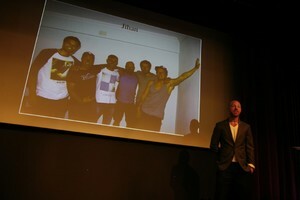 Thanks Calle and Christofer you for coming and give us hope and energy.